Karun Chandhok reckons Renault might have moved too soon to sign an "A-list" F1 driver in the shape of Daniel Ricciardo. 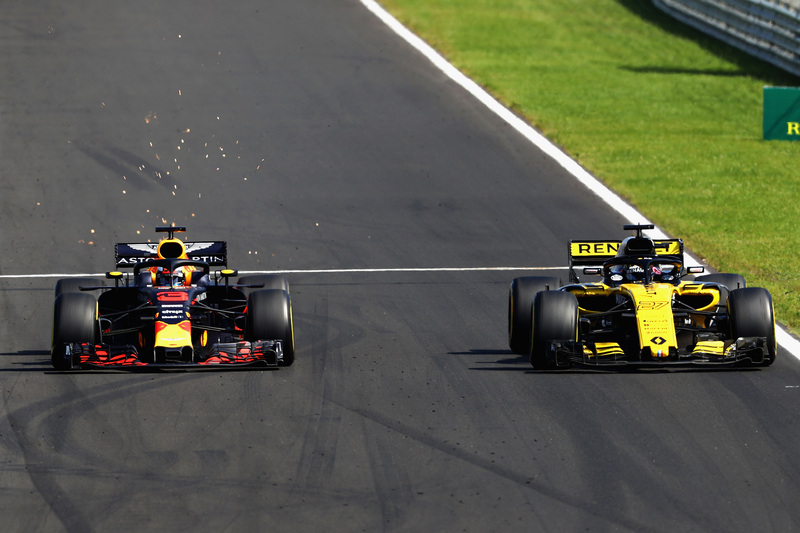 Ex-Formula 1 driver Karun Chandhok believes Renault has been caught “slightly off-guard” by the signing of Daniel Ricciardo and is not quite ready to field a top-line driver. The Australian will switch from Red Bull to join Renault for the upcoming 2019 campaign, following up on the French manufacturer’s strongest season since returning to the sport as a full works squad in 2016. Renault finished 29 points clear of Haas to secure fourth place in last year’s constructors’ championship, despite failing to take a podium and ending up nearly 300 points adrift of Red Bull, which won four races in 2018 with the same power unit. The team has set out its vision to return to a winning force in F1 but Chandhok, who rejoins Sky Sports’ broadcasting team for this season, reckons Renault’s move to lure Ricciardo to Enstone came a year too early. “Having Ricciardo as an ‘A-lister’ join them has kind of caught them slightly off-guard,” Chandhok said at the Autosport International show. “It’s probably a year [too] early for them until they are really ready for a top line driver. I think a good year for them will be fourth and maybe the odd podium and sort of establishing themselves as fourth. “Last year they weren’t clearly ahead of Force India or Haas in terms of pace and this year they need to do that. “They are the manufacturer team on the path to becoming a top team, so they’ve got to establish themselves as clearly the fourth best." Behind Renault, just 45 points separated four teams from fifth-placed Haas to the revitalised Sauber squad that secured eighth in the standings. While Chandhok expects the midfield group to remain just as closely fought in 2019, he does not think any teams will be able to bridge the gap to F1 leaders Mercedes, Ferrari and Red Bull. “You’ve got Force India with new investment and new money coming in, Haas have had a great year and are going to want to build on that with their collaboration with Ferrari,” he explained. “Both McLaren and Williams are going to look to have better years, and Toro Rosso, they are collaborating much more closely with Red Bull than they have in the past and then there’s Sauber with Kimi Raikkonen.